Tetraservice is available 24/7 on the company’s web site to enable the user to carry out the following activities all by himself and in just a few seconds: selection and configuration of any product on the basis of the user’s requirements, downloading of 3D models and the relevant documentation, submitting of inquiries by simply giving the exact designation and/or the product code generated by the service. The product can be selected by means of the code, the designation or else by inserting the data of the application. At all times the user is guided by pictures as well as instructions on the range of admissible values. Just a few seconds are necessary, even for the most inexpert user, to make a coherent selection which guarantees the identification of a product corresponding to the required features. This user-friendly, extremely efficient and intuition-based method enables the management of billions of combinations of versions and the relevant data. This makes Tetraservice the indispensable tool for any firm wishing to immediately reduce the costs for its technical-commercial staff having to deal with product selection, submitting of inquiries and generation of 2D/3D drawings. 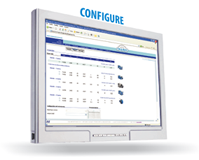 After the identification of the basic parameters of the product in the first step of selection, the user is guided in the configuration of the accessories and available versions of the selected product. 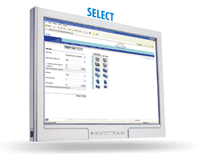 This configuration system is one of the strong points of Tetraservice: just a few seconds are necessary to make a consistent selection amongst different combinations of accessories, even for particularly complex and articulated products such as gearmotors and jacks, for which billions of combinations are available. It is also possible to carry out verifications such as for example: service factor, radial and axial loads, thermal power, peak load, etc. ; should the verification of the operating conditions not be possible, Tetraservice will then offer an alternative selection. 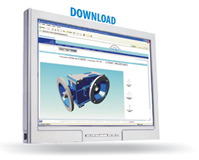 After the configuration has been completed, the user can visualize the 3D preview of the configurated product and download the generated documentation and models.